Tom began his career in 1974, working as a service and install technician. 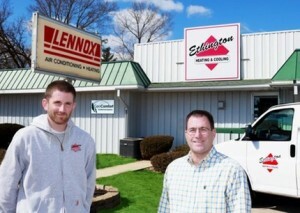 In 1985, Tom went to work for the Lennox Midwest Service department as a service consultant. He became the service manager, overseeing the field and in-house service consultants. As part of the sales and marketing department, his duties included field and in-house training for the Lennox dealer network; assisting dealers with product issues and communicating engineering changes with new product lines. In 1993, Tom opened Ethington Heating & Cooling, Inc. Tom takes great pride in providing his customers with premier installations and quality products and service. As a fully licensed and bonded contractor, Tom guarantees all of his company’s workmanship. His staff is required to maintain all continuing education to remain current with their mechanical licenses. Please see customer testimonials here. 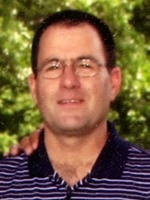 Joel began working for Ethington Heating & Cooling, Inc. in 1997 while still in high school. His initial duties were cleaning and organizing the sheet metal shop. Joel has always prided himself in doing extremely high quality work. Since joining Ethington on a fulltime basis, Joel has taken numerous training classes involving sheet metal layout, equipment installation, service and system design. He takes great pride in his extensive knowledge of geothermal applications. Joel, along with his father, believe very strongly in honesty above all and requires all of his installations and services to be of premier quality.